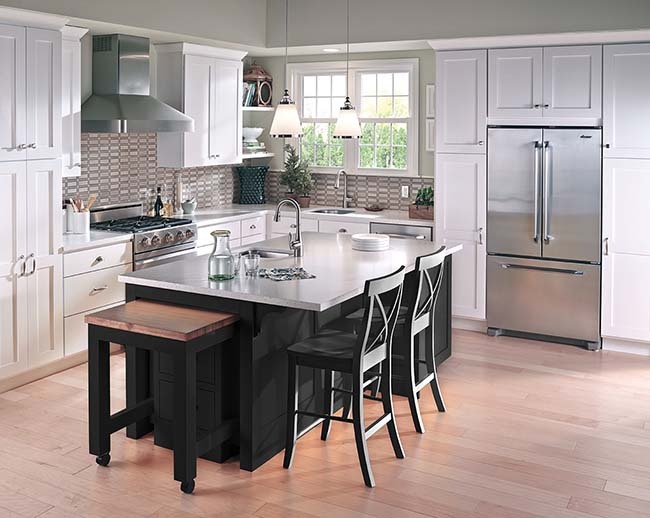 ModernView Designer's Series Cabinetry is specifically manufactured by Bertch cabinet manufacturing in Waterloo, Iowa to meet the meticulous standards of the independent lumber dealers and their customers. ModernView Designer’s Series utilizes Bertch’s investment in the latest cabinet making technology as well as their long standing history in the kitchen business, to create kitchens, baths and other rooms that revolve around an active families lifestyle. ModernView Designer’s Series products are manufactured in the USA, their quality and craftsmanship reach well beyond industry standards.